Last week, I thought I lost two of my dearest friends. They thought they lost me too. But, it turned out, we each were navigating a world hell bent on us not loving one another. It wasn’t us at all. Anyone who has followed my work here knows that I have felt the burn of losing friends. 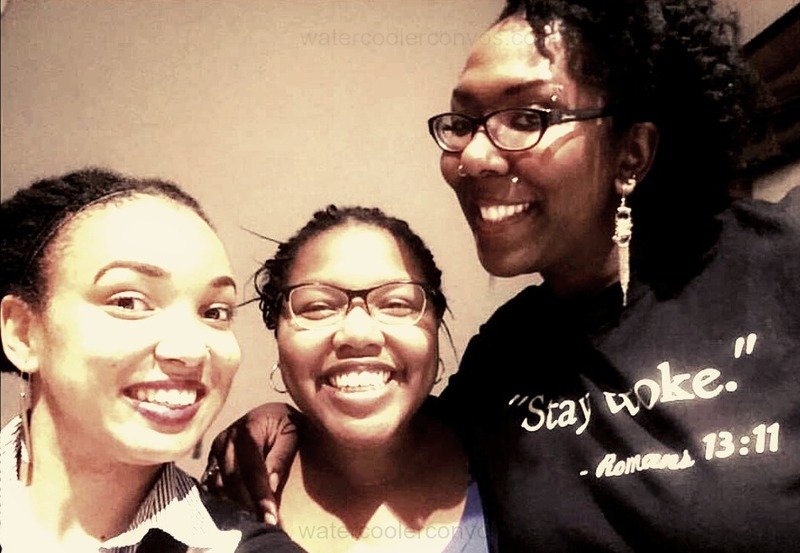 I have catalogued in post after post my experiences with other women of color as we tried to build friendships but sorely failed. Over the years, I have had friendships end for the silliest of reasons. Once, a girl stopped being my friend because I unfriended her on MySpace by accident. Another time, a girl stopped being my friend because I wouldn’t buy her clothes on discount from a department store where I worked. And the last two friendship killers were as small as me not liking a new boyfriend right away and, in another case, asking hard questions on social media. While these altercations and misunderstandings were likely a result of a lack of emotional maturity, I found myself attributing them to the narrative that I was, at least in some small way, incapable of making real friendships with women. I saw all these friendships end and rather than interrogate how deeply influenced they each were by the world around me, I blamed myself in every instance. This is also reflected in media. Groups of male friends are always raised up as the benchmark. In all the movies, male friends rarely fight. Usually some external issue arises that they have to push through together. Usually their issue, if they have one, has to do with a woman cause, you know, dramatic and emotional and stuff. But, for groups of women in cinema and TV, there’s almost always some irrational fight or emotional hang up that forces two or more friends to confront one another hastily. Sadly, I think a lot of us have started to believe that stuff is real. Fast forward to a week ago, my two very close friends (I’m still afraid of saying best friends cause people get nervous when you do that) and I were in a situation where I was extremely hurt but hadn’t done the work of explaining why. Instead of being upfront with the two of them, I hid away, shared my feelings with my mom and spouse and lamented that I might lose them both. But, the more and more I thought through the situation, I realized that my inability to say something to them came from several factors. First, I was afraid of them thinking I was angry. The constant fear of being labeled an “angry Black woman” is only fueled when Black women who empower others and speak up for themselves are persecuted publicly. Nikki Minaj’s recent (very valid) words for Taylor Swift and Miley Cyrus fit this mold quite well. For me, years and years of being told that my deeper voice, larger frame, and darker skin were menacing have still – in some ways – influenced how I move through the world. These characteristics have not always been sources of liberation for me. Rather, they have sometimes felt like filters through which I experience everything in society. They inform how I love and how I allow myself to be loved. They even affect my ability to want love in the first place. Being tall, Black, and woman has made for some of the most difficult, most anxiety inducing situations I have ever had in my life. It took me going through this experience with my friends to realize how much of those social censors still remain after all this time and how they could have been limiting my ability to make friends over the years. Second, I didn’t want to hurt my friends. Out of a paralyzing fear of being like the rest of world, I didn’t want to do anything to these two Black women which would reproduce the oppression or isolation they already experience in society. In trying to make space for their potential pain and my imagined harm toward them, I left absolutely no space for my own growth and healing. I was so concerned that I would doubly marginalize them that I doubly marginalized myself. This is a conundrum of Blackness, queerness, and woman-ness today. Society does so much work to ‘other’ us that, eventually, we end up othering ourselves. Clearly, I am still a work in progress where this is concerned. Lastly, I didn’t want to be thrown away. My history aside, no one wants to be seen as value-less. There is a certain culture of dismissal nowadays where one poorly worded tweet, one slip of the tongue, or one accidental misunderstanding can result in waves of animus and exclusion. I have seen time and again where folks seem almost excited to reduce people they once loved to nothing. I just didn’t want to go through that. In the past week as I reflected on my thirty-one-years, I figured out that a lot of what I was doing wrong was rooted in a societal message that Black women are unlovable, warring, disloyal, and mean. I realized that when I poured more love into my friendships, I received more love out of them. And because my love was unconditional, their’s likely was too. My previous inability to see the ways that social narratives conditioned my anxieties, fears, and interactions with other Black women left me often feeling as though forming real loving bonds with folks who looked like me would never be possible. Luckily, that has all changed now. I didn’t lose my friends. In fact, we’ll likely be stronger in our bond because of this slight bump in the road. What I took from it though was that living authentically and loving oneself is not a selfish act. My relationships with others are directly conditioned by my relationship with me. And, if I spent anymore time allowing social narratives or other worldly signals tell me how to love me, I was going to end up losing not just my friends but myself in the process. So, I have decided to love myself and my friends in ways that empower and affirm us all regardless of what the social implications may be.